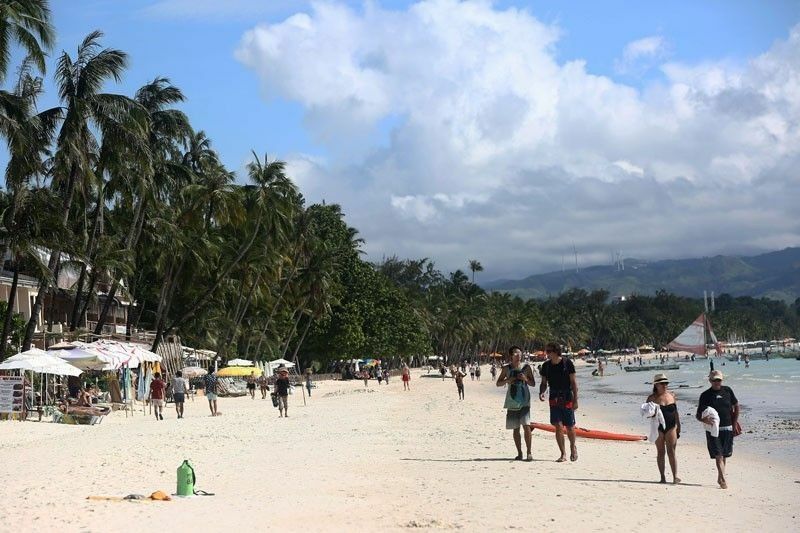 This file photo shows tourists in Boracay. MANILA, Philippines — State weather bureau PAGASA on Friday officially declared the termination of northeast monsoon (amihan) and the start of the dry season. “The shift of wind direction from northeasterly to easterly over most parts of the country due to the establishment of the high pressure area over the northwestern Pacific signifies the termination of the northeast monsoon and the start of the dry season,” PAGASA said. The development means that day-to-day weather across the country will gradually become warmer although isolated thunderstorms are also likely to occur, the weather bureau explained. It added that extreme northern Luzon may still experience occasional northeasterly wind flow. PAGASA said the ongoing weak El Niño may result in prolonged dry spell and hotter air temperatures in the coming months. “The public is advised to take precautionary measures to minimize heat stress and optimize the daily use of water for personal and domestic consumption,” it said. The agricultural damage caused by a weak El Niño went up further to P1.33 billion as of March 19, data from the Disaster Risk Reduction Operations Center of the Department of Agriculture showed. El Niño is expected to persist until June.